The vignettes from Vietnam come in multitudes. The country has spectacularly scenic locales, vibrantly colorful cities, quaint towns and villages where life flows languorously and some amazing architectural creations that actually seem poetic. ABS TRAVEL proudly provides materials of Vietnam popular destinations, best place to visit in different provinces or cities of Vietnam. These articles are written or translated or collected from many sources from Internet. Our information includes variety of photos, video clips, articles, blogs about basic information of places, beautiful beaches, surprising caves, magical bays, green valleys, fanciful mountains in fog, paddy fields, terrace fields in highlands and in countrysides. 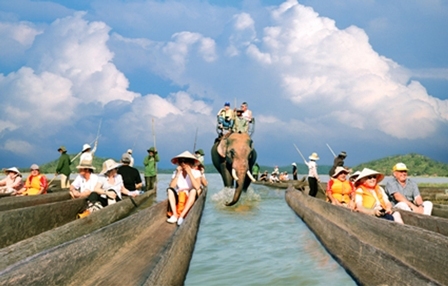 The Vietnam popular destinations promise a colorful and versatile assortment. Ensure that you include them in your Vietnam travel guide. Vietnam is a little known country and mostly known for its stunning natural beauty that resides in its forest lands, beaches and the riverine terrains. 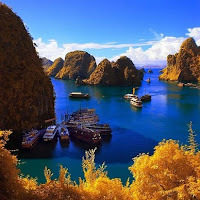 In your Vietnam tours, Halong Bay, Vietnam, a UNESCO World Heritage site, is one of the Vietnam popular destinations that definitely merits a visit. The dramatic natural setting herein consists of over 3000 rock formations dotting the Gulf of Tonkin, interspersed with numerous caves, beaches and secluded coves. Vietnam boasts of an array of pristine beaches, where the sands are soft to the feet and the azure waters are brilliantly clear. Head out for the breathtakingly beautiful sands of Phu Quoc Island, Vietnam, considered by many to be the best beach resorts in Vietnam or the piece of Hawaii at Mui Ne in Phan Thiet, Vietnam. 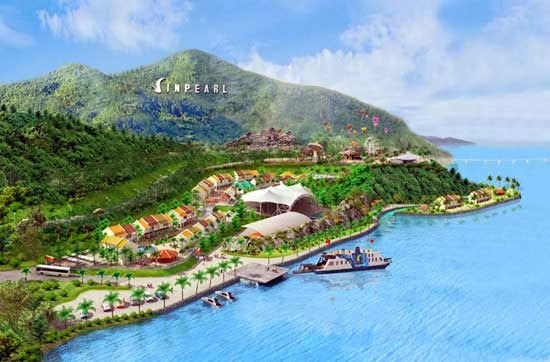 Other beach destinations that shouldn’t get the miss while you are sightseeing in Vietnam are the Nha Trang Beaches, Vietnam and the China Beach, Vietnam. Nurture your soul and your senses in the verdant greenery of Vietnam’s national parks. 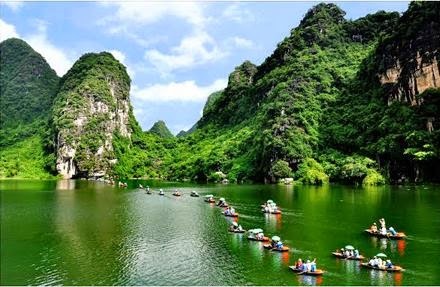 The Ba Be National Park, Vietnam and the My Son Sanctuary, Vietnam are some of the most popular of the tourist destinations in Vietnam, famed for both their scenic settings and the wealth of indigenous flora and fauna specimens to be found here. Get closer to Vietnam and know the influences that have shaped it up. 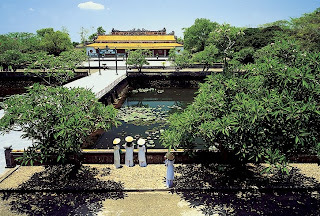 The historic tourist attractions in Vietnam include the Ho Chi Minh City, Vietnam, still affectionately alluded to as Saigon by the locals and “The Pearl of the Orient” by the foreigners, the World Cultural Heritage sites of Hoi An, Vietnam and Hue, Vietnam and of course, the ancient city of Danang, Vietnam. These places still treasure numerous historical monuments dating all the way back to the dynastic era in Vietnam and a visit to these Vietnam popular destinations will help you better comprehend the historicity of the land. Most visitors to the North arrive in the country’s capital, Hanoi – the city is abuzz with sights, sounds, smells, and fabulous food – a delight to the senses! Narrow laneways lead to hidden cafes, ancient temples sit beside towering modern buildings, and swarms of motorbikes zip around serene lakes. Hanoi also has dozens of museums as well as the mausoleum and former home of Ho Chi Minh, the country’s most important political figure. 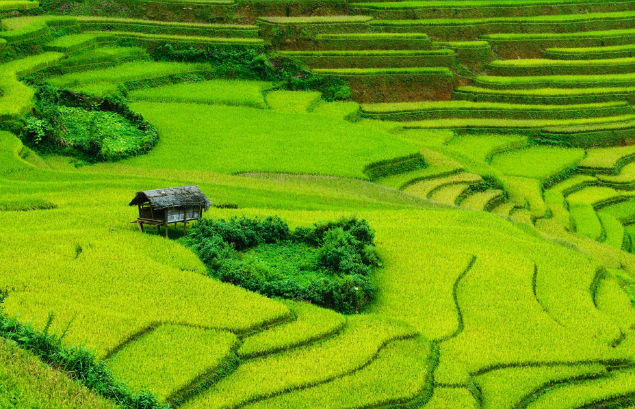 Escaping the busy capital, travelers are treated to some of Vietnam’s most stunning landscapes. The Northwest is full of mountainous terrain inhabited by several ethnic minorities. This area is well known for its trekking and is also home to Vietnam’s highest peak, Mt Fansipan. To the east of Hanoi lies the fertile Red River Delta and endless miles of farmland. Further afield is Halong Bay, a remarkable section of the Gulf of Tonkin filled with emerald waters and limestone cliffs. Central Vietnam is the country’s cultural heart with ancient wonders and rich traditions. Hue was the seat of the Royal Imperial Court for centuries and its influence is seen today in the city’s architecture and culture. Several elaborate tombs and the mighty Citadel are still standing and modern buildings continue to incorporate design elements reminiscent of the era. The city’s food reflects the culinary demands of the former emperors and is regarded as the best in the country. 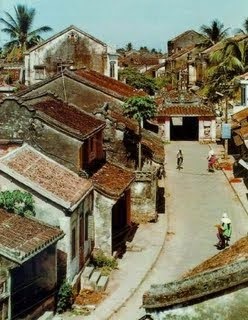 Further south, Hoi An remains seemingly untouched from its years as a popular trading port. The traditional houses, tailor shops, and local markets are a delight to explore. 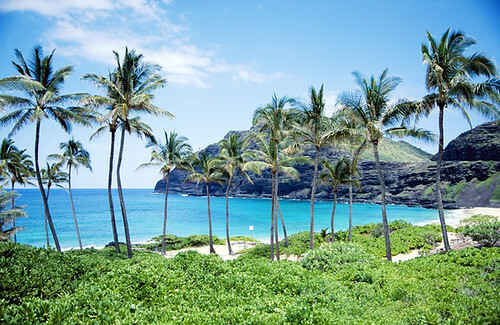 The center is also the country’s narrowest strip of land and the scenery is extremely diverse. The stretch of land referred to as ‘the Central Highlands’ is another trekking destination for exploring Vietnam’s ethnic hill tribes. Southern Vietnam is dominated by Ho Chi Minh City, a modern, bustling city full of wide boulevards and highrise buildings. Travel just a short distance north and you can reach the fabulous beaches of Mui Ne, Phan Thiet, and Nha Trang as well as the cool highlands of Dalat. To the far south lies the Mekong Delta, where the Mekong River splays out in to thousands of tributaries. The winding canals, floating markets, and tiny villages of this area are an incredible sight to behold. 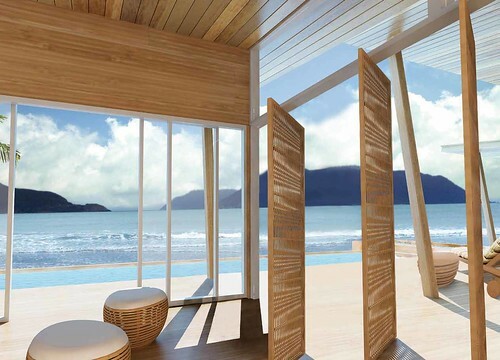 Nha Trang, the coastal city in the south of Vietnam, has arguably the best city beach Vietnam has to offer. Nha Trang is well-loved for the same reason: a beach perfect for a few-day-relaxation, where the sand stretches along the bay for 6km and for most of the year the sea is brilliantly turquoise blue. The city also has the best nightlife in Vietnam outside of Saigon, with numerous bars catering to the budget and tourist market. Mui Ne is quickly developing a reputation as the action capital of the coast. Famous for its wind-and-kite-surfing, the winds here are as reliable as clockwork, but the best time to surf up is from August to December. 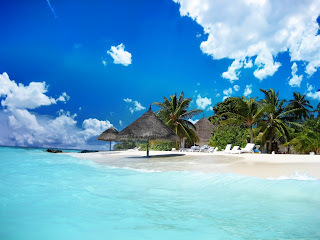 If this all sounds too much like hard work, you can simply splash about in the warm turquoise blue water. Hardly any part of Vietnam is blessed with such a rich soil and hardworking people like Mekong Delta, where the national grain is grown. As one travels away from the overcrowded Ho Chi Minh City to the Southwest, he or she will be pleasantly surprised by the landscape and people here, which are both too sweet to resist.